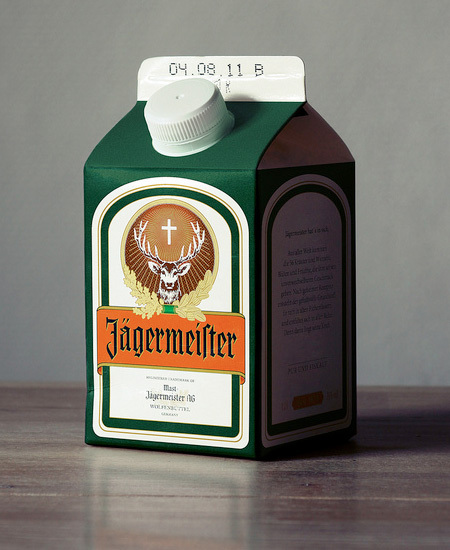 Ecohols series by German designer Jörn Beyer features alcoholic beverages packaged in cartons instead of distinctive glass bottles. The artist wants to find out if customers would still buy products of major liquor brands if they were sold in simplified packaging. 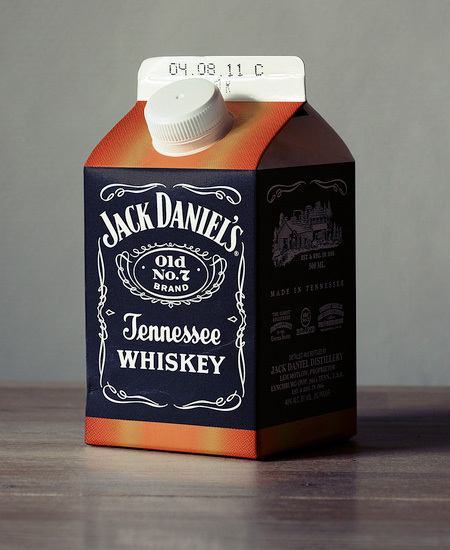 Actually not a new idea, alcohol is sold in milk cartons over here in Korea and Japan also. Even the small lunch box sized ones! I don’t drink alcohol, but could that affect the taste? glass is used because it it inert material which doesn’t pervert taste of beverage. Is this more recyclable than glass? It’s a cool idea. I think people may be subconsciously inclined to drink more out of a carton than a bottle because they’re typically drunk fairly quickly being milk or juice. We already have liquor packaged in paper cans here in India. I don’t find it a problem. Moreover here I find it easy for disposal. This is so awesome! Where can i buy? I agree with alex… i don’t drink but i think there is much less of a chance of glass changing the taste of the alcohol vs. paper/plastic. i think both types of packaging could be used but it’s almost impossible to completely revert to cartons. Since when do they need expiry dates? 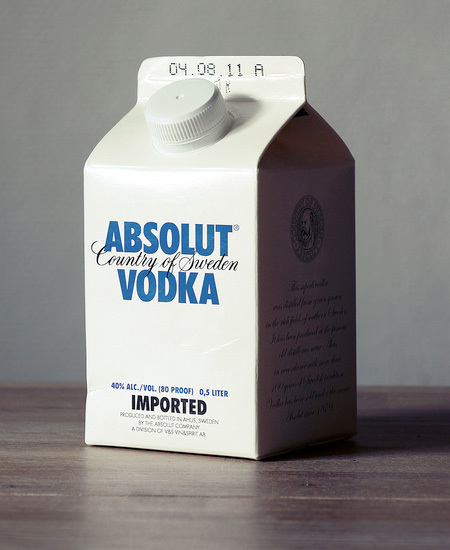 I hardly think people would buy Absolut Vodka in cartons for the same prise they pay for the glass bottle today. And for Absolut it would be brand suicide. It is the reckognizable glass bottle that is the brand, not the liquor itself. So what did the designer find out? Did consumers still buy it or not?